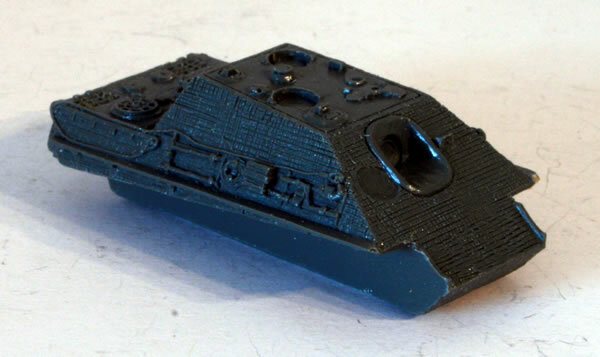 The Jagdpanther was a tank destroyer built by Nazi Germany during World War II based on the chassis of the Panther tank. 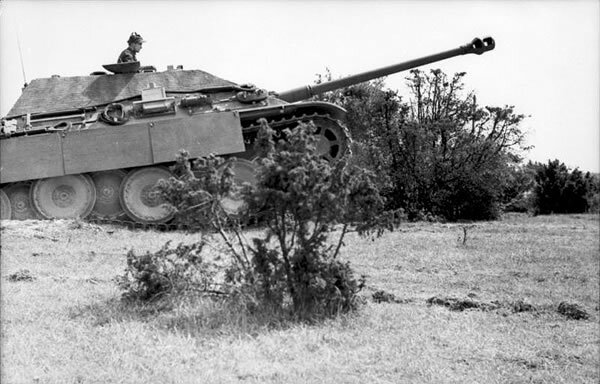 It entered service late in the war and saw service on the Eastern and Western fronts. 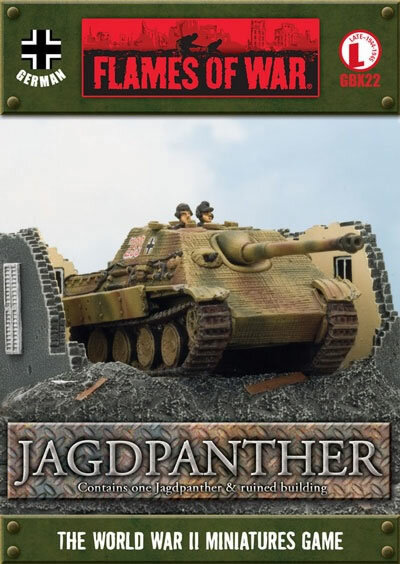 Many military historians consider the Jagdpanther to be one of the best tank destroyers of the war due to the combination of the very powerful 8.8 cm KwK 43 cannon and the characteristically excellent armor and suspension of the Panther chassis. Managed to get one cheap in a Hobbycraft sale. You can see how I painted the ruins on this page. 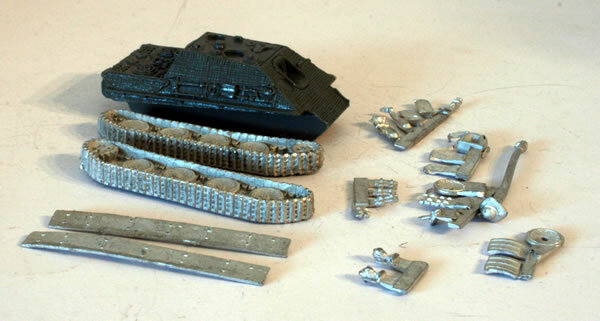 The kit consists of the resin building, a resin hull and metal components such as tracks and track guards. 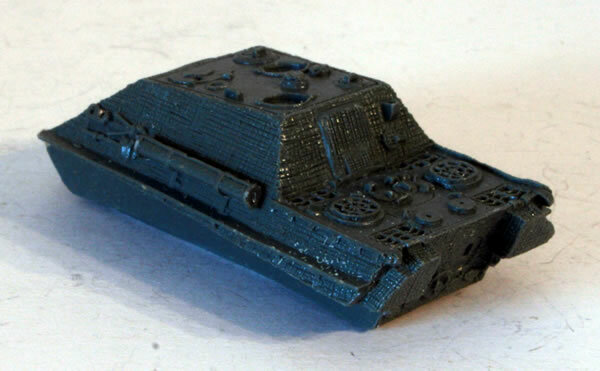 The main part of the model is the resin hull, which is well detailed.